Atsushi Kaga is a Japanese visual artist, working in mixed media, painting, drawing, animation and sculpture. He is best known for his practice steeped in popular culture. Born in 1978 in Tokyo, the artist got his education at the Tama Art Institute in Tokyo, graduating in 1997, and at the National College of Art and Design – NCAD in Dublin, where he got his BA in Fine Art Painting in 2005. Atsushi also got a diploma at Coláiste Stiofáin Naofa, Cork, in 2001. Inspired by the Japanese manga culture, the world of modern toys and electronics, and a combination of text and surreal reference, Kaga uses his unique cast of characters to tell quite profound stories about personal experiences. Behind the playful and surreal facade of Atsushi Kaga’s misleadingly simple work lurks much darker territory wherein the artist confronts serious issues of cultural politics, sexuality, death, paranoia, social relationships, the complex search for personal identity and the daily philosophical crises of the harsh realities of the world. 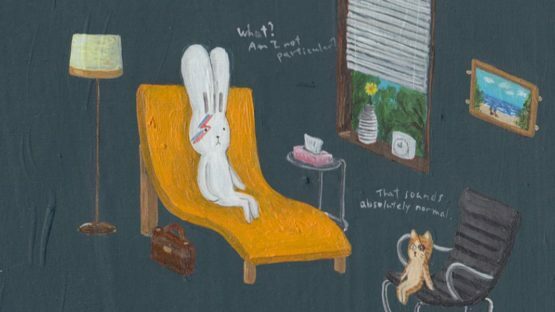 The darkly playful world of Kaga’s oeuvre is inhabited by a variety of colorful anthropomorphized characters. The cast is led by Usacchi – a cute but a little mischievous rabbit, the artist’s alter ego. 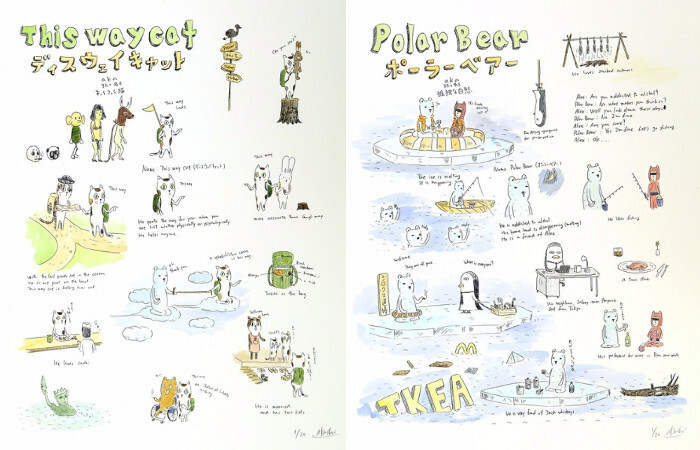 Besides Usacchi, his panda father and kangaroo mother are, for example, all facets of the artist’s personae. 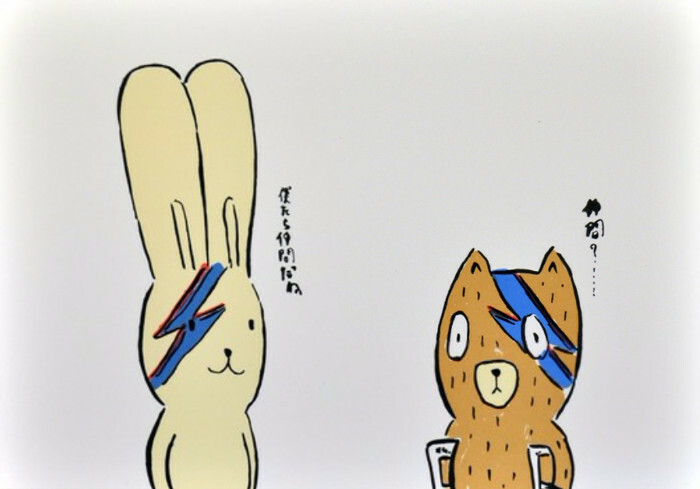 Bunny depicts Kaga’s silly side, while Kumacchi – a drug-addicted bear injured in a car accident – presents his dark side and the forever-weeping Panda, his melancholic side. 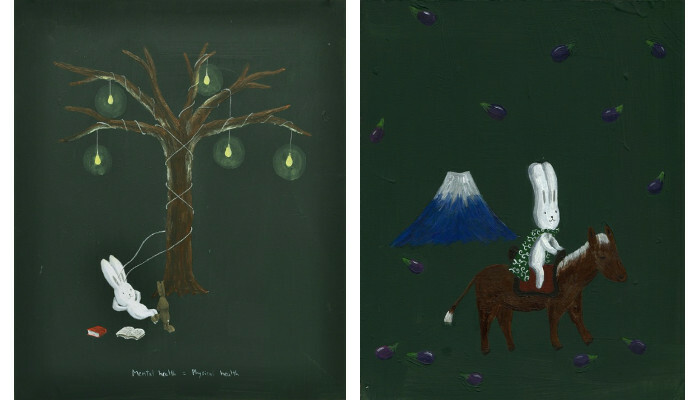 Kaga is one of the artists supported by the Montblanc Young Artist World Patronage. The project carries the idea of giving young and upcoming artists the opportunity to present their artwork to a broader and international audience and to the art scene. Therefore, more than 400 Montblanc boutiques worldwide are transformed into art galleries and present one particular artwork simultaneously for a couple of weeks. Kaga has participated in many one-man and collective exhibitions at a variety of international institutions, including mother’s tankstation, Dublin, Irish Museum of Modern Art, Dublin, Nicolas Krupp Gallery, Basel, Switzerland, Butler Gallery, Kilkenny, Ireland, Mermaid Arts Centre, Bray, Fenton Gallery, Cork, Temple Bar Gallery, Dublin, Sandra and David Bakalar Gallery, MassArt, Boston, and Location One, New York. He is represented by Galerie Fluegel-Roncak in Nürnberg, Germany and mother’s tankstation limited in Dublin, Ireland. Atsushi Kaga lives and works between New York and Dublin, Ireland.